Scientists at Southampton University in England are researching the healing properties of honey with particular interest in how this natural product might be useful against antimicrobial resistance. The researchers are using Surgihoney, an engineered, medical honey that has a potent antimicrobial agent with antibiofilm activity. They are particularly interested in the possibility of this honey being useful against chronic rhinosinusitis (CRS), a condition said to affect 15% of the UK population and cost the British National Health Service (NHS) about £100m a year. Patients affected by CRS often suffer from recurrent bacterial infections in the sinus cavities. According to the scientists, conventional antibiotics are rarely effective in eradicating the bacterial infection active in chronic rhinosinusitis patients, many of whom need many sinus operations during their lifetimes. New treatments are therefore required to prevent disease recurrence, and to reduce the on-going need for antibiotics and surgery.
" The problem of chronic sinus infections not only impacts significantly on patients' quality of life but these infections tend to be resistant to antibiotics and patients often end up needing multiple operations and a lot of antibiotics during their lifetimes. _ There is an emphasis on trying to develop new strategies and new therapeutic options to reduce reliance on antibiotics and the need for operations which are quite expensive. This is particularly pertinent in an over-stretched and under-funded NHS. _ We want to develop novel biofilm-targeted therapies which reduce our reliance on antibiotics and the risk of antimicrobial resistance which is of epidemic proportions and a worldwide issue and challenge for us all. The Surgihoney work we are doing at the moment is a crucial and fundamental part of our current research programme." The present research includes laboratory studies to test the ability of Surgihoney to kill bacterial biofilms. The researchers hope to extend this work by conducting a clinical trial to investigate the success of Surgihoney treating chronic rhinosinusitis patients following endoscopic sinus surgery.
" One in five of hospital-acquired infections are attributed to MRSA. Current treatments for MRSA infections are limited due to expense and the problem of emerging resistance. Our preliminary findings have shown Surgihoney is not just effective in killing MSSA (methicillin-sensitive Staphylococcus aureus) but also MRSA (methicillin-resistant Staphylococcus aureus). 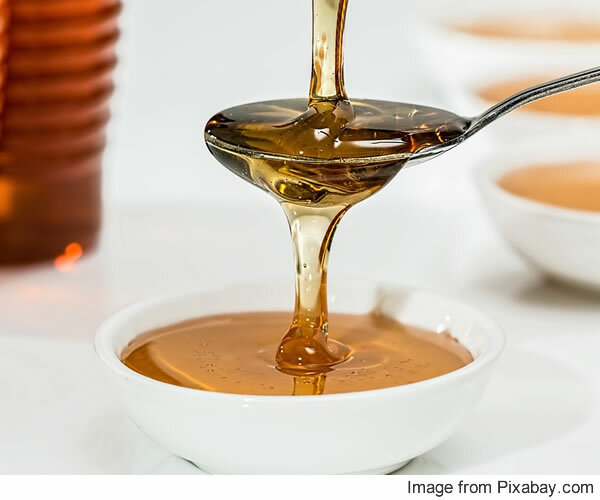 _ We want to develop this engineered honey as a novel treatment for MRSA-associated infections. If successful, this could address the issue of antimicrobial resistance and save the NHS a significant amount of money." Ian Staples, founder and chief executive of Matoke Holdings Ltd. who are collaborating with the university scientists on this study, said that "Instead of talking about a global antibiotics catastrophe, it is very refreshing to be talking about a British solution." Surgihoney is already available to treat infected acute and chronic wounds. New medical uses for this product are now being investigated. Surgihoney is able to destroy both Gram-positive and Gram-negative bacteria, including multi-drug resistant strains, such as E.coli, MRSA and Pseudomonas aeruginosa. It has also been found to be effective against fungal organisms. It's main antimicrobial activity is due to the sustained delivery of reactive oxygen. The researchers at Southampton are conducting preclinical studies to find out about the effectiveness of Surgihoney in killing the bacteria implicated in difficult-to-treat or long-lasting, i.e. 'chronic', rhinosinusitis. News is included to provide information about current issues but not to endorse any particular view, activity or product. Any opinions expressed in this article are not necessarily those of IvyRose Ltd.. At least some of the material on this page was released by the source/s indicated below on or about 29th April 2016.This article has been prepared by IvyRose using information and quotations that may also be from various other sources as well as any further comments, explanations and images credited individually. Source(s): Southampton University, Hampshire, England.